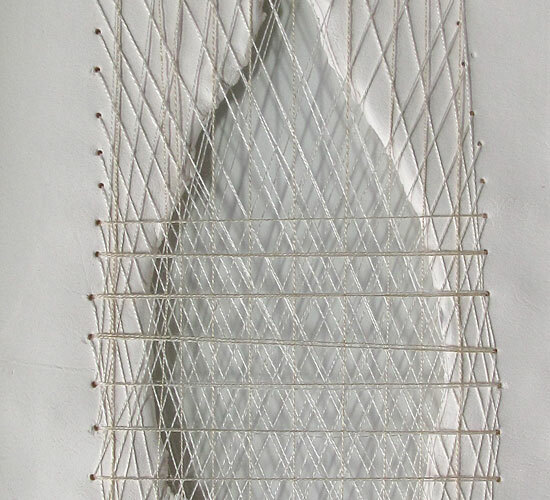 Threads are used to link, to bind, to repair, to create tension, to enhance, and make new stories. Inspiration comes from many places: stories, overheards, work by other artists, dreams, photographs, and the interface. Most recently I have been working on a vessel series inspired by stories of the Creation told by the women of Vancouver Island. These objects, loosely related to boats, have been made in paper, clay and latex. 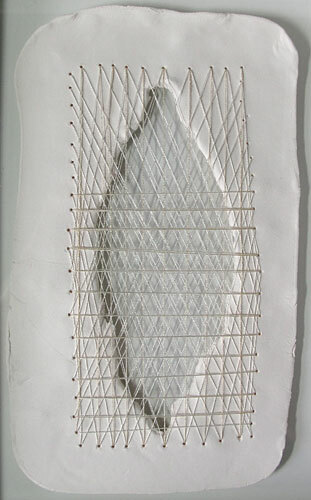 Exploring work by ceramicists recently has led me to experiment further the combining of textile techniques and ceramics.